It’s amazing to us the number of Headhunting searches we have been engaged to perform for Mechatronic Engineers! These engineers create smart machines that are aware of their surroundings and can make decisions! The industries where we’ve seen the number of hires rising have been in the automotive Industry, HVAC Industry and the Medical Device Industry! Not only are companies searching for great Mechatronic Engineers to develop new solutions to industrial manufacturing problems and design build….they are also searching for Research Engineers with strong Mechatronic background to enhance product functionality! Our Research Engineer searches have been more in-depth from a preferred education and experience background. 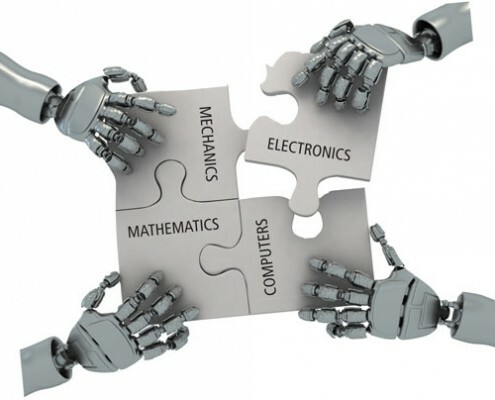 Companies are trending toward Master’s or PhD degrees in Mechatronics, Electrical/Electronics or Mechanical engineering fields. Is it me? Or who doesn’t love actuators, sensors, intelligent control principles, micro devices, opto-electronic systems and system integration….Call me Crazy but you had us at Mechatronic!